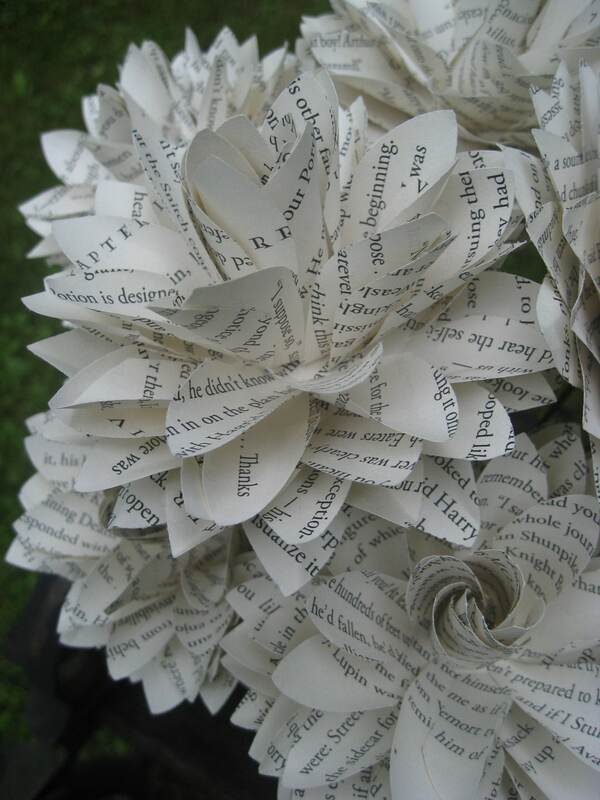 This listing is for 1 dahlia flower, made from a book! It measures about 4" across. 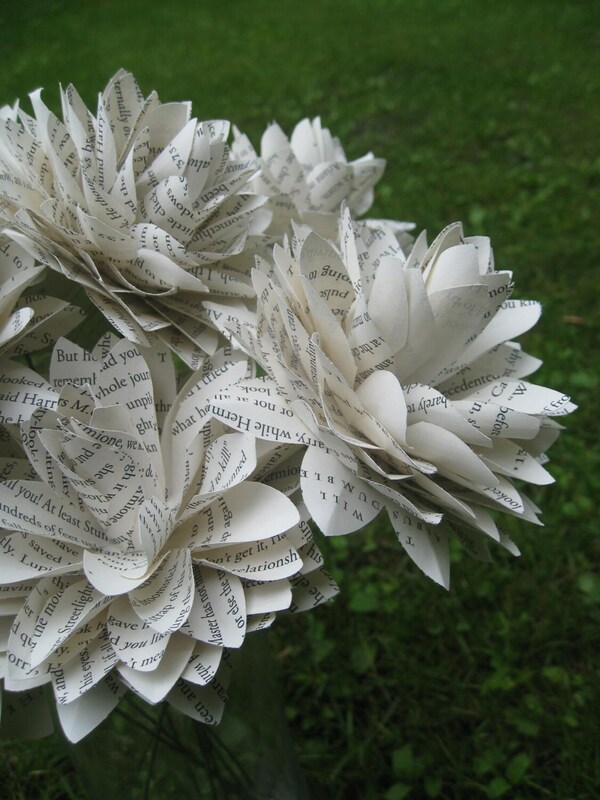 It can be put in a vase...or you can put it into a bridal bouquet and mix with other flowers. 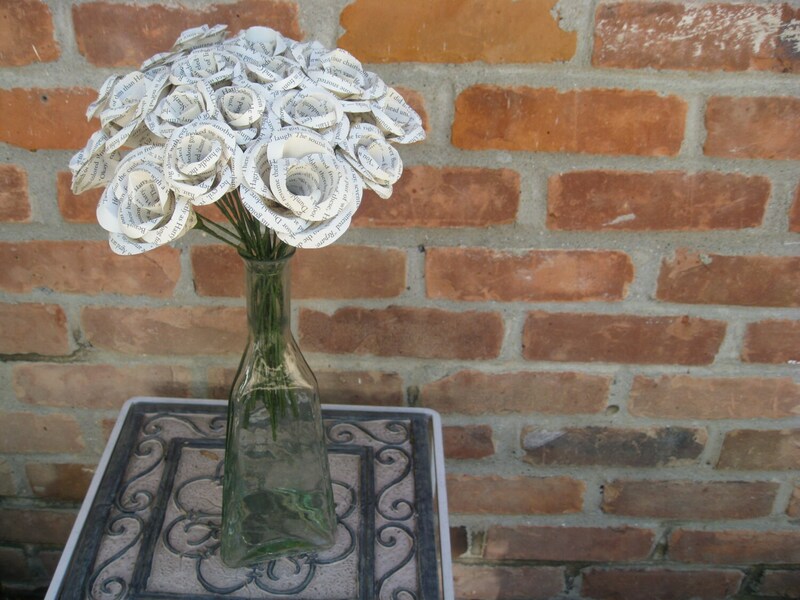 These make great birthday, first anniversary, wedding, shower, and even Christmas gifts! If you have a preference for which book you would like, just let me know at checkout. If not, I will choose one. THIS LISTING IS FOR ONE FLOWER ONLY! If you want to order a dozen, they are available in my store. ***I have lots of popular and classic literature. Message me if you have questions about which books I have in stock. ***PLEASE ALLOW me a few days to make you your flower. For custom orders, convo me! 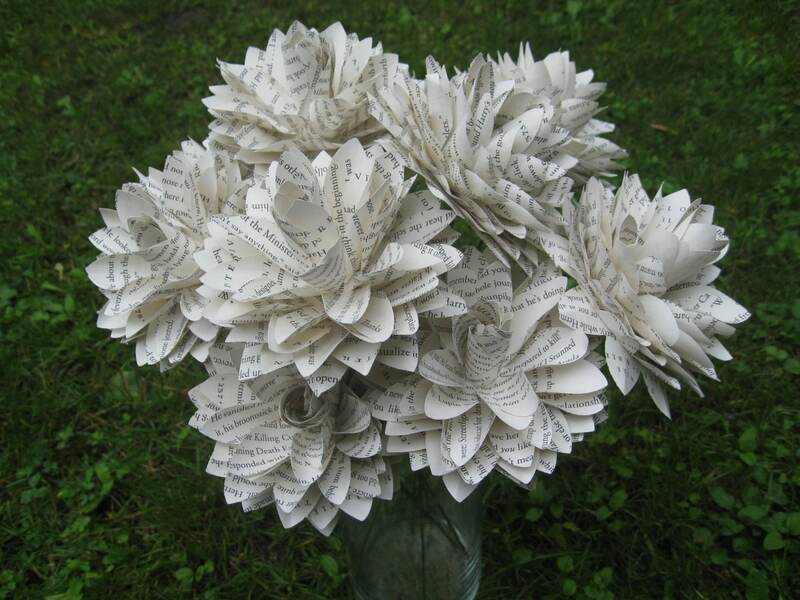 I can do these out of any book or paper. 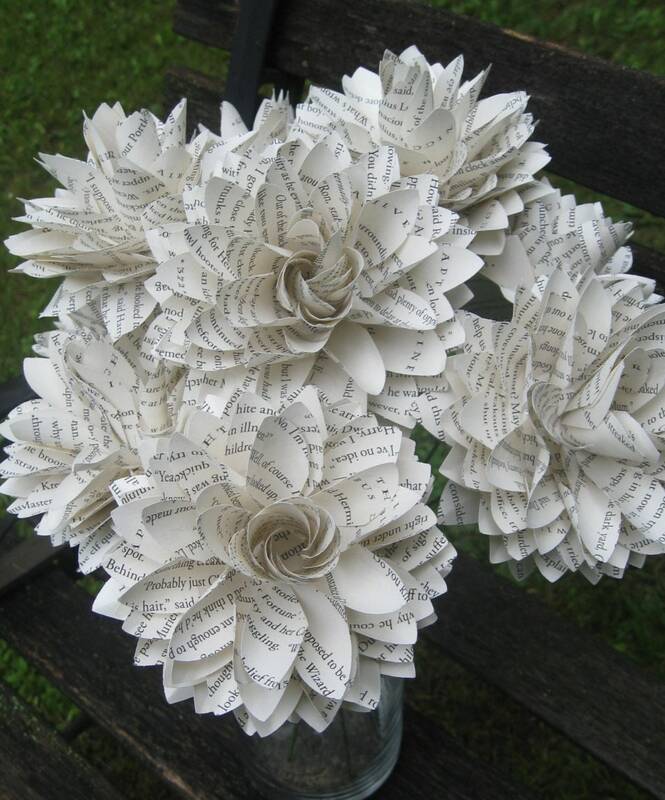 SEE the last photo for an example of the book roses. They are available in my store for purchase. If you would like a custom order, just convo me! I would be happy to make you whatever you would like.